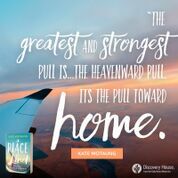 Kate Motaung’s memoir is a story of God’s grace throughout the events of her life. She has a relationship with God that grows through her college years and motivates her to pursue missions. But she couldn’t know the great challenges she would face in the ensuing years. 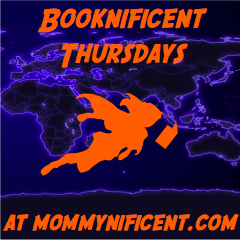 As she tells her story she takes the reader along with her from Michigan to South Africa. This author shares her moments of struggle and doubt. A thread of brokenness runs through the book—we live in a broken world. We all experience some brokenness in our families. But there is hope. 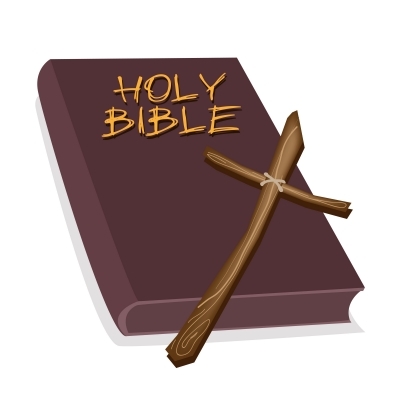 Throughout the book Kate writes about painful life experiences but notes the provisions of God’s grace. God provided for her during the difficult months of her mother’s battle with cancer. God provided for her mother’s needs. The book has a wonderful tone of Christian community—people helping and supporting each other. I enjoyed reading about South Africa and the friendships that developed. 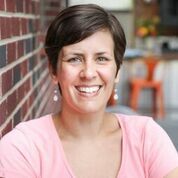 Kate shares vignettes from her marriage, childbirth, beginning motherhood and adoption. Within the memoir I was impacted by the legacy of faith that Kate’s mother gave to her daughters. A beautiful portrait of a mother’s love. The major themes of this memoir are faith, community and hope. It is a testimony of God’s faithfulness and points to the future Jesus promised. This memoir is a good read–it will broaden your perspectives. In an interview Kate gives insight into her purpose in writing. For some, that is a comfort, knowing that one day those who trust in Christ will lay asideall their pain and suffering in exchange for a sin free existence forever in the presence of their Redeemer. For others, this realization could be a bit disconcerting. Many of us make a great effort to find comfort, fulfillment, and satisfaction here in this life, and we don’t like the idea of giving it up. Before writing this book, I struggled with that a lot. I would get incredibly sentimental over certain material things. Now, the Lord is teaching me that those are all part of what Jesus calls “treasures on earth, where moth and rust destroy and where thieves breakin and steal” (Matthew 6:19). 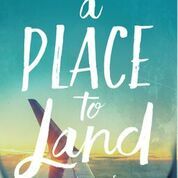 Kate Motaung is the author of A Place to Land: A Story of Longing and Belonging (2018), A Start Up Guide for Online Christian Writers, and Letters to Grief. 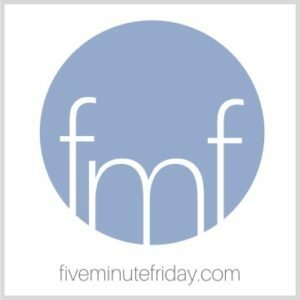 She is the host of Five Minute Friday (fiveminutefriday.com), an online community that encourages and equips Christian writers, and owner of Refine Services (refineservices.com), a company that offers writing editing, and digital marketing services. Kate blogs at Heading Home (katemotaung.com) and can be found on Facebook, Twitter, and Instagram. *** I received a copy of this book in return for an honest review. The prompt for Five Minute Friday is: ROUTINE. The goal is to write for five minutes, inspired by this one word. 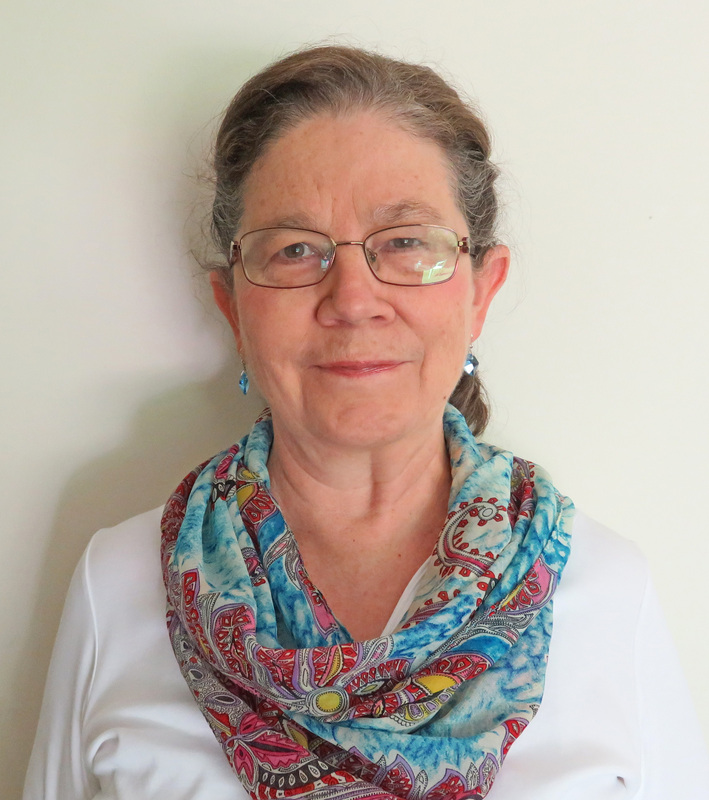 To learn more about the community of writers led by Kate Motaung click here. Over the past couple weeks we have been traveling and spending time with family. We have changed time zones. The order of our day has changed, but I try to keep a spiritual routine. The following practices give me peace and joy. Honestly I don’t always keep this routine, but when I do my days are blessed. Do you have a routine? 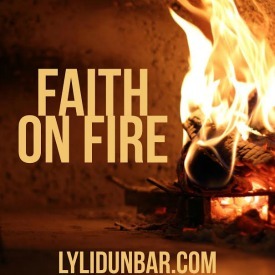 Sharing this post with Faith on Fire. My children are grown and married. Currently we are taking care of my daughter’s children while she and her husband attend a seminar and celebrate their anniversary. As grandparents we are being introduced to foster care—we have two foster grandchildren. My eyes are being opened to the circumstances that many children face. According to the U.S. Department of Health and Human Services, Children’s Bureau, 437,465 children in our country were in the foster care system in 2016. The most common reason a child is placed in foster care is neglect (61%). The second most common reason is drug abuse (34%). I was talking with my son-in-law and he said that poverty is a factor. He has participated in a poverty simulation course and was awakened to the stress that poverty places on a family. Some children bounce back and forth between foster care and their biological family. It is heart breaking. But I have been encouraged to see the way the church in this community has stepped up. Last Sunday we attended church with our daughter’s family. A dedication service took place for a young couple and their foster daughter. The children’s pastor invited people that wanted to support this young couple to come to the front of the church. About thirty people, from teenage to elderly, walked to the front. They encircled the couple. The young mother had grown up in the foster care system and had been befriended by a family in this church. My daughter’s family is part of a community of believers who are taking in foster children, providing support to families (children’s clothing, furniture as needed, meals as their family grows suddenly). 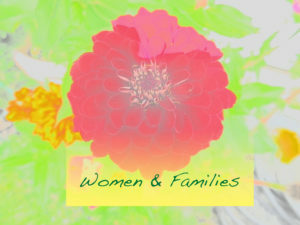 The community provides material and emotional support. The love and compassion for children is palpable. It has blessed my heart to see this faith community engaging in the needs of children. I am so grateful that my daughter’s family has this support system. 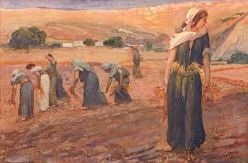 The book of Ruth has many insights into a life of faith. When our Bible study group read the first chapter together one evening I was struck by the part that Naomi played in Ruth’s pursuit of knowing God. Our study leader suggested that we imagine what Ruth might have said about her decision to go with Naomi. What might she have said as a testimony? I thought about her story . . .
As a young woman I was offered an unexpected marriage proposal. A young man, an Israelite, asked me, a Moabite, to be his wife. I had heard stories about Israel and was intrigued. I accepted Mahlon’s proposal. He took me to reside with his family, and I was introduced to their God. My husband’s mother, Naomi, was good to me. She was a widow and devoted to her sons. As I worked with her making meals and taking care of the home she told me about her God. She told me about the way God had guided her people, sometimes in miraculous ways. I could tell that she missed Israel. Great tragedy struck us. My husband and his brother became ill and died. His brother’s wife, Orpah, and I were widows now, with no sons or daughters. 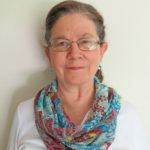 Naomi was filled with grief and decided that she would go back to Israel. She told Orpah and me to go back to our former homes. We wept because we had grown to love Naomi. After embracing Naomi Orpah left. But I did not. I wanted to know about the God of Israel. I told Naomi that I would go with her. Her God would be my God. I made a covenant to remain with her for the rest of her life. This account is an encouragement to live out our faith in loving actions and words. Naomi endured great hardship, but she still was able to convey a message about God to Ruth. What impresses you more, Naomi’s perseverance or Ruth’s openness to learning from Naomi?